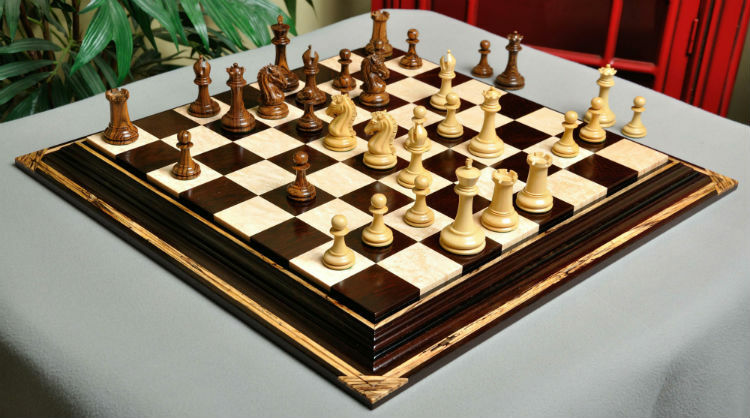 Find a perfect pairing of chess board, pieces and box using the following reviews and buyer’s guide. The chessboard is the base for the entire game as well as the foundation for each match. The unique checkered square pattern of the chessboard makes it stand out among all other game boards, and at this point it has become iconic. Anyone who sees it knows what it is for. Chessboards may be made out of wood, plastic, glass, stone, or other materials and they come in a wide variety of colors. You’d have a hard time playing a game of chess without any chessmen. That’s why every chess set comes with a set of chess pieces. Most of them are modelled after the traditional Staunton pattern, which is the most widely recognized style for chess pieces and also the only one accepted in tournament play. If you prefer something more whimsical, though, there are unique chess sets out there with themed chess pieces. Some pre made chess sets come with chess boxes, but others don’t. We think the chess box is the cherry on top of a good chess set. It’s not strictly necessary for gameplay, but it does provide a handy place to store everything, and it’s nice to have a chess box that’s sure to fit all of your pieces just right. 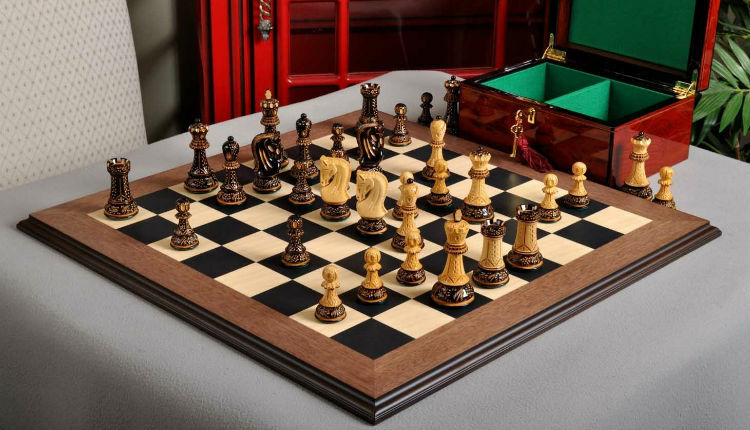 This high end chess set includes a chess board, chessmen, and a beautiful chess box – all made by the well known luxury chess brand, The House of Staunton. Each element of this gorgeous chess game set is handcrafted by master artisans out of the finest materials. As far as we’re concerned, The Golden Collector Series Luxury Set is the best chess set on the market in 2019. And the best part is that you can actually save yourself a bit of money by buying the full chess set, rather than ordering each piece individually. 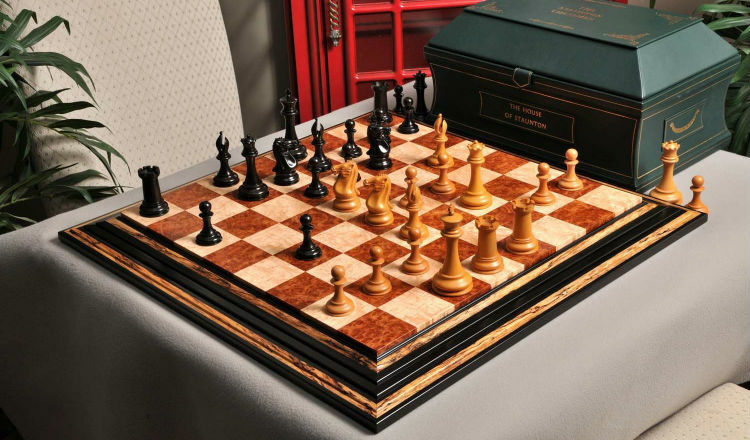 The chess pieces are individual works of art made from boxwood and genuine ebony, complete with The House of Staunton’s proprietary weighting technique that prevents hairline fractures from forming, even in low moisture conditions. In fact, the company is so confident in their technique that they offer a lifetime guarantee on their products. If they ever crack, just send them back! 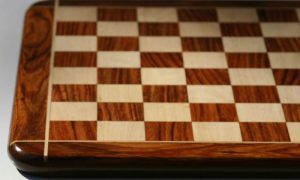 The chess board is crafted of stunning red amboyna burl and bird’s eye maple woods, complemented by spalted maple inlays and an ebony frame. It offers a striking contrast to the slightly different coloration of the chessmen while still clearly being part of one coherent design. 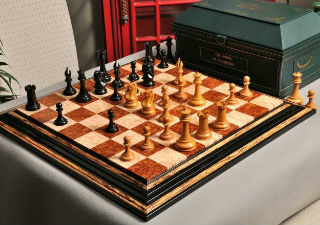 The chess box is the crown jewel of The Golden Collector Series Luxury Chess Set. It is crafted from the finest English leather and has individual padded bays for each chess piece. This keeps each piece protected during transit and keeps them from clattering against each other and breaking or becoming disorganized. You will love this chess box and the level of protection it provides for your chess pieces. 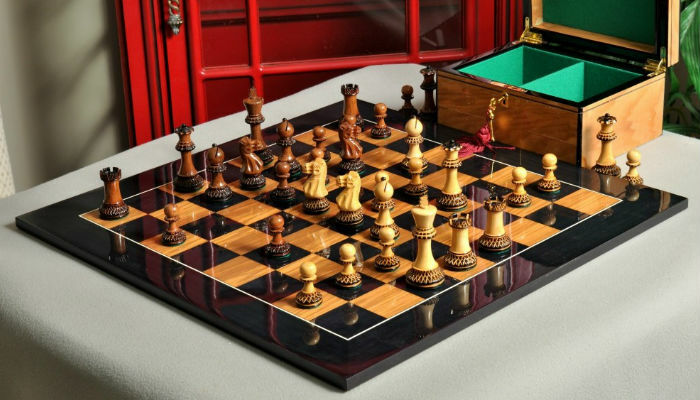 This set features chess pieces that were designed by legendary chess artist Frank Camaratta, and it’s one of the most beautiful antique chess sets for sale in 2019. The chess pieces in The Camaratta Signature Series Cooke Luxury Chess Set are modelled after the traditional Cooke set, with a small twist. They’ve substituted in the Maestro’s Knight design from the Craftsman set for a bit of uniqueness. 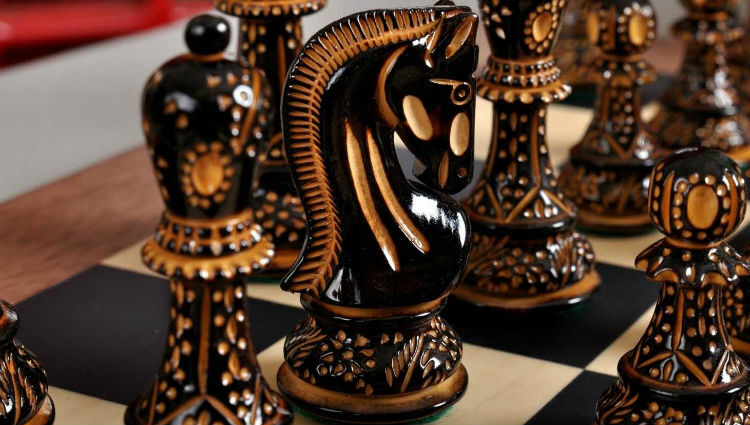 They are made of Natural Boxwood and Bocote, which gives the chessmen a captivating vintage coloring. Each piece is impeccably detailed and the wood grain shines through on each one, giving the whole set a certain charm. 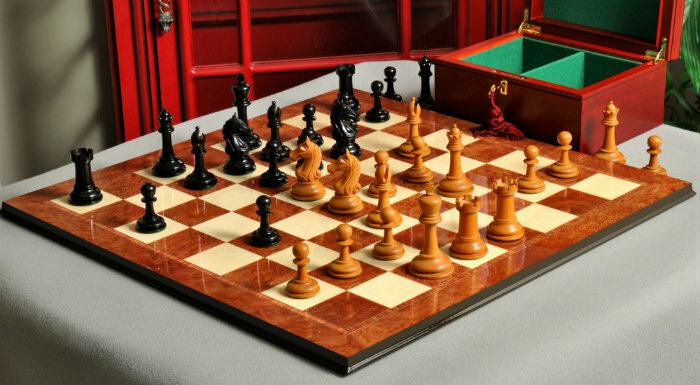 The chessboard included with this classic chess set is made from African Palisander and Bird’s Eye Maple woods. It also features spalted maple inlays and corners, along with a stylized frame of African Palisander. This is a high contrast board with a traditional look and feel. The squares on this board are 2.5 inches. You have your choice of chess box with this chess set. The options include Red Burl, Bird’s Eye Maple, or Mahogany boxes laser engraved with the House of Staunton logo, or Olive Ash Burl, Bubinga Burl, Elm Burl, Brazilian Rosewood, or Macassar Ebony boxes without the logo. Each of these boxes features a green baize lining, reinforced brass quadrant hinges, and a lock and key with a red tassel. This innovative set is not only a standard chess set- it’s actually a digitally enabled chess computer as well. It is manufactured by the well known digital chess company DGT, and is the most technologically advanced set ever made as of 2019. The DGT Revelation II Chess Set offers more functionality than any other set on this list. When you play with this set, you can not only face off against human opponents in person, but you can also play against some of the world’s strongest chess programs and other human players all over the world via the internet. You can analyze games after the fact or in real time, and even broadcast your games online live as they’re being played. The DGT Revelation II chessboard is inlaid with LED lights and sensors to facilitate play with online opponents, as well as for analysis purposes. The sensors in the chess board communicate with unique chips within each chess piece and allow it to determine which piece has been moved where. The LED lights indicate your opponent’s move. While each piece of the chess set may be used individually, we recommend using them all in combination to really experience what this cutting edge electronic chess set can do. After all, The DGT Revelation II is the best chess set of its kind on the market today. 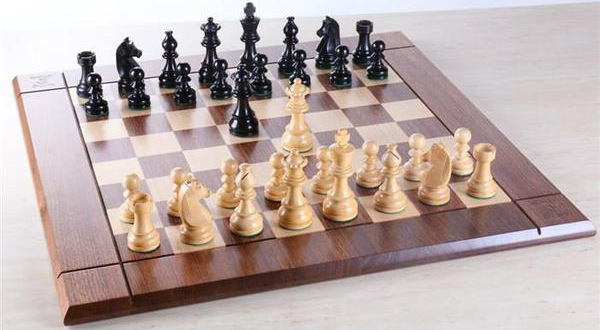 The Aversa Series Chess Set offers a healthy dose of luxury at a bargain price. 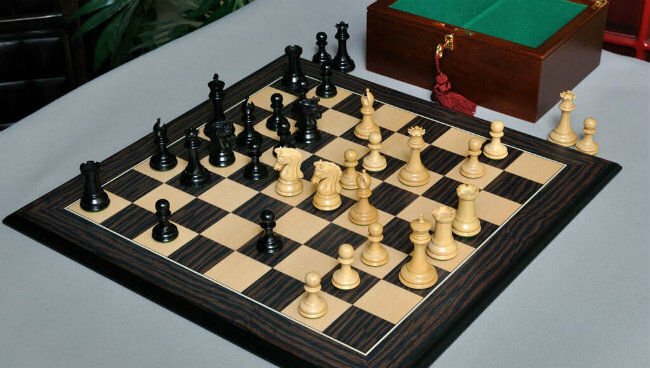 It is a Staunton chess set with a bit of a twist – its glossy finish, uniquely detailed Knight pieces, and a few other unique features make The Aversa Series Chess Set stand out from all the rest of the Staunton chess sets out there. This is a full size tournament chess set that features 4 inch tall Kings that stand on bases that are 1.8 inches in diameter and padded with a billiard cloth base pad. White’s army is hand carved from pale antiqued boxwood, which is perfectly contrasted by Black’s army of dark and earthy Genuine Ebony. The result is a high contrast chess set in classical colors that still has all the beauty and warmth of a natural wood chess set, because it is one! The chessboard included with this set is 23.5 inches square and has 2.5 inch squares. It is made from Vavona Burl and Maple woods, which set the stage perfectly for the Antiqued Boxwood and Genuine Ebony chessmen. The chessboard has a slim profile at only half an inch thick, and a moulded edge that adds a touch of elegance. The Aversa Series Chess Set comes with a chess box, and you may choose your favorite from several different options available. Most of them are included within the price of the set, though some more high end woods may require a small additional fee. You also have the option to add on a chessboard bag for a discounted price so that you have a protective covering for your chessboard to use during transport or storage. The Cyrus Staunton Deluxe Chess Set is another Staunton style chess set, but each of the pieces has a unique twist. For example, the Knight pieces feature an unusual spiked mane, while the 4.4 inch tall Kings are topped with a unique finial piece that can’t be found anywhere else. It’s totally unique to this specific set! The chessmen are carved from African Padauk and Boxwood, allowing for the finest level of detail in the hands of a skilled craftsman. The chess board included with The Cyrus Staunton Deluxe Chess Set is a perfect match to the chessmen in terms of color and style. It is made from African Padauk and Maple woods in 2.5 inch squares. The total footprint of the chessboard is 23 7/8″ x 23 ⅞ and it is just under 2 inches tall. This chess set takes its name from Cyrus the Great, who was the King of the Persian Empire when it conquered the Babylonian and Median empires. He was one of the greatest military strategists in history, and with this set, maybe you’ll be able to channel some of that cunning and strategic thinking into your own chess games. This set is one of the most luxurious, high quality chess sets for sale this year. It features rare woods and detailed chess pieces that you can’t find anywhere else. If you truly want the best there is in chess equipment, this is it. This unique set is a masterpiece, simply put. Each one of its pieces are hand carved and carefully burnt to create a stunning finished product that is nothing less than a work of art. The Burnt Zagreb ’59 Series Chess Set is a reproduction of one of the most popular and decorative chess sets used in the major international chess tournaments during the 1950’s and 60’s. The chess pieces in this chess set carved from boxwood by skilled artisans to an impeccable level of detail. They are each individually burnt and sealed for a glossy finish. The pieces are heavily weighted and finished off with a billiard cloth base to protect the chessboard from scratches. Though they are beautiful, the chessmen are also designed to stand up to the rigors of frequent use, so feel free to play with them all you like, they needn’t be reserved for display purposes, although they would certainly make a wonderful display. The Burnt Zagreb ’59 Series Chess Set pieces are burnt and sealed for a glossy finish. The chessboard in this decorative chess set is made from Blackwood and Maple with 2.25 inch squares. It is half an inch thick, features a satin finish and moulded edging, and The House of Staunton logo is silkscreened onto the H1 square. The chess box is lined with green billiard cloth to keep your pieces protected. It has a divided interior with two separate compartments, brass quadrant hinges, and a lock and key. 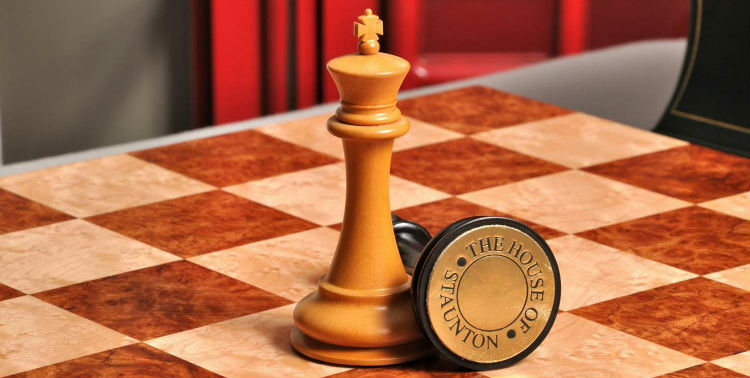 The House of Staunton logo is laser engraved onto the lid of the chess box. For those of you who prefer a more traditional style, but with a little twist, this classic chess set could be a perfect fit. This chess set pairs a very traditional set of chess pieces with a bit of a funkier board, which is actually a genius combination! Best of all, it’s currently available at a great price. The Library Imperial Collector Chess Set chessmen are top of the line chess pieces, a fact that is evident in every detail from their smooth glossy finish to their gold embossed leather base pads. They are heavily weighted for an unmistakable presence both in the hand and on the board, and the King piece stands 3 inches tall with a 1.5 inch diameter base. The design of the pieces is a replica of the original Staunton pattern chessmen designed by Nathaniel Cooke, with a few modifications. This elegant chess set features an open-mitered Bishop as well as the original Knight designed by Frank Camarratta himself. The chessboard included in this set was crafted in Spain, and offsets the extreme formality and traditional look of the chess pieces with a bit of subtle whimsy. It is made from Maple and Tiger Ebony, which gives the dark squares and the border a unique striped appearance. The board measures 18.75 inches square and half an inch thick. Complete your set with a chess box in your choice of wood. You may also choose to add a carrying bag for your chess board at an additional cost. Inside the lid of your chess box would be a great place to display the certificate of authenticity and original manufacturer’s plaque that comes with this nice chess set. If you’re looking to get the best possible value for your dollar, this is the chess set for you. The Burnt Golden Rosewood Grandmaster Series Chess Set is an extremely luxurious chess set with a unique aesthetic. 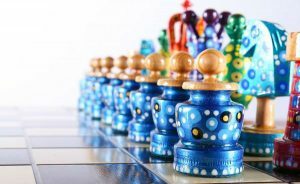 The ‘burnt’ technique used on the chess pieces is highly unique, as is the super glossy finish of the chess board, and the two come together to form a one of a kind, stunning chess set. You will definitely get compliments on this set! The chessmen in the Burnt Golden Rosewood Grandmaster Series Chess Set are all hand carved by master artisans from the finest Boxwood. After carving, each piece is carefully weighted, stained, burnt to bring out the unique detailing of these pieces, glazed, and finished off with a felt base pad. The end product is a set of natural looking, high contrast chess pieces with a smooth, glossy finish. The King piece in this decorative set stands 4 inches tall and has a 1.6 inch diameter base. 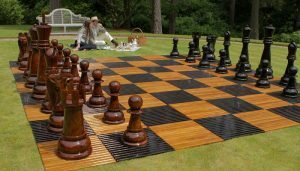 Not to be outdone by the chess pieces, the super shiny, 22.5 inch square chessboard made from Blackwood and Olive wood is a show stopper as well. It has a slim profile at only half an inch thick, but its use of uncommon wood makes it stand out all the same. Each square is 2.25 inches, giving you plenty of room during a game. You can also choose your own chess box to finish off this custom set, as well as an optional board bag for an additional fee. You have a variety of woods to choose from for the included chess box, including Red Burl, Mahogany, Elm Burl, and Brazilian Rosewood. For a small additional charge, you could also choose a chess box made from Bird’s Eye Maple, Bubinga Burl, or Olive Ash Burl. Amazingly, this beautiful chess set has one of the lowest prices of all the sets on this list. At double the price, it would be a great deal, but this low price tag makes its value per dollar shoot through the roof! This is one of the most elegant and high quality chess sets for sale today, made in your choice of luxury woods. That’s right, you can select which wood type you prefer for your Black chess pieces, though some of them come at an additional cost. Choose from Indian Rosewood, Genuine Ebony, or Blood Rosewood to complement the Natural Boxwood of White’s army. The Collector Series Library Chess Set is a full tournament-sized set with 3 inch tall Kings that have 1.5 inch diameter bases. Each piece is hand carved by the master artisans employed by The House of Staunton and heavily weighted. As a final touch, the pieces are finished off with a lush billiard cloth base pad, or an embossed leather one for the King pieces. All parts of this chess set are beautiful, but the star of the show is definitely the chessboard. 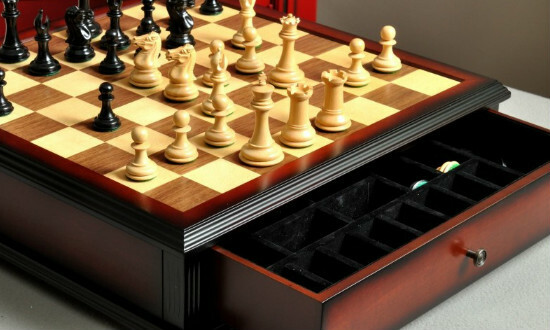 It is made from Maple and Walnut woods with a Cherry frame, and it features two storage drawers with coffered storage for each chess piece. The compartmented drawers prevent pieces from knocking against each other and keep everything in top condition for many years or even generations of enjoyment. 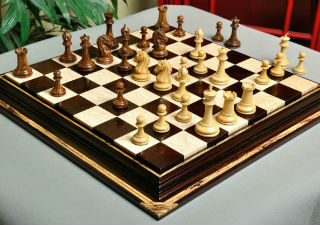 Overall, the warm colors of this chess set give it a rich and inviting look that would be perfect in an office or study. This is one of the best chess sets out there, and it can be yours for a very reasonable price. The value on this chess set is almost unbeatable! For chess players involved in regular tournament competition, this chess set is a great choice. Designed for competitive play, you can be sure that this elegant set will stand up to the rigors of tournament use and frequent play. You may recognize the chess piece design used in the Heirloom Championship Chess Set. That’s because they are an exact reproduction of the traditional European pattern chess pieces that have been used at nearly every major International chess event in the past two decades or so! World Championships, FIDE Olympiads, Linares, and many more competitions are littered with chess pieces of this design, and now, you can own them for yourself! World Championships, FIDE Olympiads, Linares, and many more competitions are littered with chess pieces of this design, and now, you can own them for yourself! The pieces are heavily weighted for impeccable play and feature a billiard felt base. The Kings are 3 3/34 inches tall and have a 1 ½ inch diameter base. They are each made of sturdy Boxwood and the design features no delicate pieces that could break off or become damaged during the course of rigorous play. 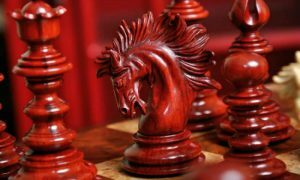 There is also an option to choose the same design of chess piece made with Rosewood for a bit of a different coloration. You can choose from 5 different chess boards for your Heirloom Championship Chess Set. Each one is made in Pennsylvania by JLP, and they are all every bit as durable as the chess pieces. They come in a variety of different woods, but each of them is 21 inches square and can stand up to anything you throw at them. You can add on an optional chess box or bag to protect your chess set and aid in transportation if you so choose. Since the chess set itself is so affordable, you may find that you have plenty of room left in your budget to add on a premium walnut chess box! Also made by the DGT company, this electronic chessboard set can be hooked up to your computer via USB or Bluetooth. 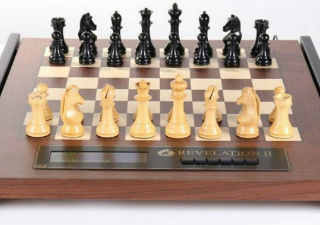 This DGT Electronic Chess Set makes a gorgeous traditional chess set and, when it’s hooked up to your computer, it has most of the functionality of the DGT Revelation II. You can play against other players through the internet, face off against chess programs, and even broadcast your games in real time. This board senses the position, type, and color of the pieces in the same way as the DGT Revelation II does. It uses the same set of chess pieces, and the chessboard comes in your choice of Rosewood or Walnut. The Rosewood option is a nice, warm brown color while the Walnut is lighter, a more medium brown. If you’d rather not hook the board up to your personal computer, you can also buy The DGT Pi chess computer to use with it. This is a great choice for added functionality and portability, and there’s nothing to install! These two products are ready to work together right out of the box. The Pi can analyze games, run several different chess programs, and act as a chess clock. 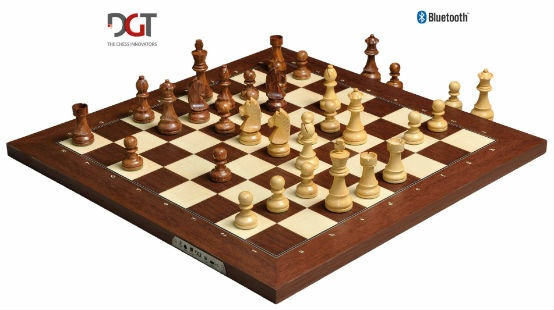 We recommend you buy The DGT Pi to complete your bundle to get the most out of the DGT Electronic Chessboard. There are also additional optional accessories available for sale to use with these products, including Fritz 15 chess software, a chess clock, differently styled digital enabled chess pieces, and custom carrying cases. Another nontraditional set, this one is sure to get people’s attention. Its 5 ½ inch metallic King is definitely an attention grabber. The oversized metal pieces are dramatic on their own, but when paired with the sleek, modern chessboard, the effect is tremendous. You will definitely have friends commenting on this beautiful set! The chessmen in The Large Metal Renaissance Chess Set are modelled after powerful European figures of the Renaissance period between the 12th and 17th centuries. They are cast from gold and silver metals with an impressive level of detailing on each piece. The chessboard is a thin, glossy number with a grey briar wood veneer and 2 inch squares. There is no chess box included with this set. 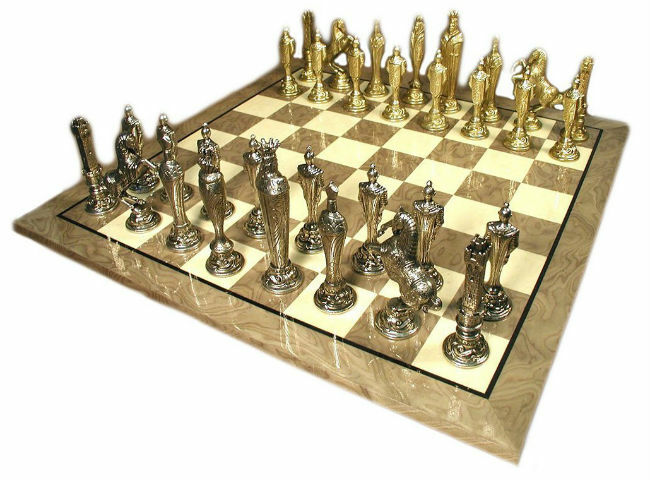 Overall, The Large Metal Renaissance Chess Set is surprisingly inexpensive and makes a great conversation piece. While it may not hold up to daily use, it’s certainly a great heavy chess set for display in your home or office, particularly if you’re a Renaissance history buff. 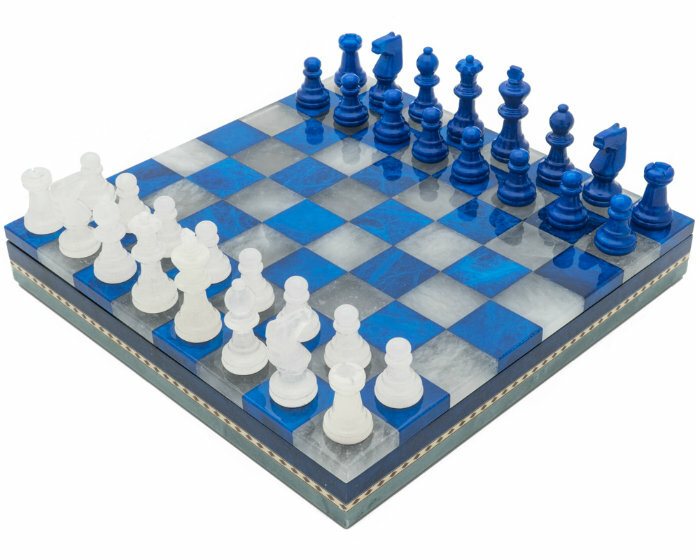 If you prefer a pop of color in your chess set, or you just like the feeling of natural stone, The Blue & White Alabaster Chess Set could be the perfect fit. The first thing you’re likely to notice about this chess set is its bright colors. This isn’t a muted blue you can barely see or a dark navy that might as well be black, when they say blue, they mean blue, which is a color that you don’t often find on a chess set. The chess pieces of this set are a more simplistic version of the traditional Staunton pattern. They are not as detailed and intricate as the average wooden chess set, instead favoring sleek lines and a more minimalistic, modern style. This sleek chess board set is the perfect gift for chess lovers of any age, and anyone with a colorful personality! 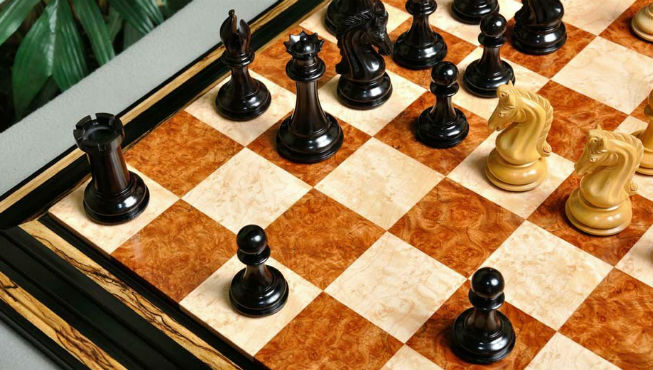 The combination of materials between the natural alabaster stone and the inlaid wood detailing makes for a totally unique chess set. Though it’s still designed after the traditional Staunton pattern, it’s different enough to make it fell totally different. Speaking of the inlaid wood detail, it’s one of the most beautiful parts of this chess set. Sandwiched between ombre layers of colored alabaster, the wooden inlay features a two tone design of stripes and diamonds. The alabaster layers are smooth and sparkly, a magnificent sight whenever they catch the light. 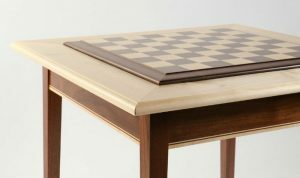 Surprisingly for a board that’s only 2 inches thick, the playing surface lifts off of the chess board base to reveal a storage area with padded spaces for each of the chess pieces, as well as the checkers pieces that also come with this set. This modern chess set is one of the most popular chess sets for sale in 2019, due in large part to its colorful and unique design. This nice chess set features black, white, silver, and gold tones mixed and matched freely to create a cool aesthetic that puts a modern spin on the more traditional chess piece patterns it uses. And, for a set that’s such a statement piece, it’s surprisingly affordable! 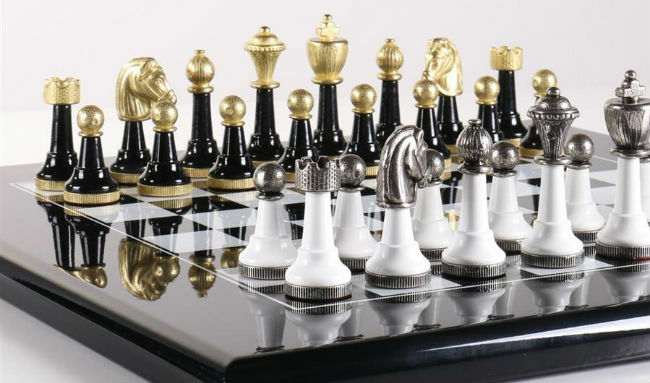 The chess pieces are the main attraction of The Black & White Wood and Metal Chess Set, with black pieces being topped with golden accents and white pieces topped with silver ones. It has a 3 inch tall King piece with a 1 inch base that weighs a full two ounces, thanks to its solid metal top and bottom. The chessboard is a sleek and modern, ultra glossy board that manages to not be outdone by the chessmen, despite its relative simplicity. It’s quite compact, featuring squares that are only 1.4 inches, and may be best for display or analysis purposes. It’s possible that this chess set could become crowded during actual play. No chess box is included with this set, but the pieces are on the small side, so it shouldn’t be hard to find a chess box that could accommodate them all – if you ever want to have them out of your sight, that is! 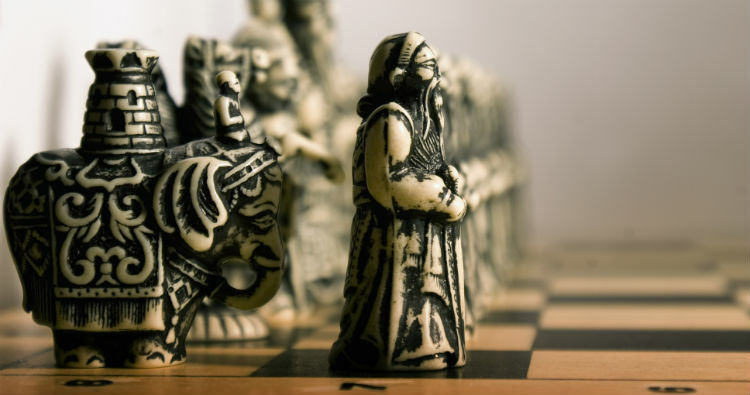 Alabaster is one of the most elegant yet durable materials chess sets can be made from in 2019. This chess set is made from natural Italian stone that is carefully carved and polished to a gleaming finish. A fun thing about The Black & Brown Alabaster Chess Set is that, because of the nature of the materials, no two sets will be exactly alike. There will always be a significant amount of variance in the veins of the stones and their coloration after the dyeing process. The chess pieces in this classic chess set are simple, original Staunton style pieces that are faintly translucent. The set features a 3 inch tall King and all pieces are padded with billiard cloth to protect the shiny finish of the natural stone chessboard. These chess pieces sparkle and catch the light like no other material can, and they’re sure to catch the eye of your visitors as well when they notice this impressive chess game set. The chess board is carved from matching alabaster stone dyed in the same colors. It is half an inch thick and 15 inches square, with 1.5 inch squares on the playing field. There is no chess box included with this chess set. All together, this basic chess set weighs a whopping 12 pounds, so it works best in places where it doesn’t have to be moved frequently and can stay set up permanently. Luckily, this compact set won’t take up too much space. While a brand name isn’t everything, and there can certainly be high quality, worthwhile products from relatively unknown brands, we are careful to only recommend products that come from brands that have established their commitment to excellence. 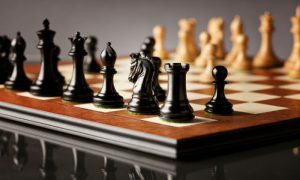 The brands you’ll find on this list are among the finest names in the chess set producing world, and they have been in the business of creating fine, high quality chess sets for years now. The House of Staunton, in particular, is one well known brand that has been around and producing high end chess sets for several decades now. We trust them to produce good products that chess lovers will enjoy. A new startup brand may be good and have the same commitment as the bigger brands, but they won’t be able to earn our trust until they demonstrate that commitment over a period of years or decades. When you’re considering buying a new chess set, you should always consider the brand that produced it. If the item doesn’t even say where it came from and isn’t stamped with a logo or artist’s marking of any kind, that could be a red flag! We wouldn’t recommend buying a chess set from any brand that hasn’t built up a good reputation within the wider chess community. Pricing can be a double edged sword of sorts. Too high, and no one but the most elite buyers will be able to afford the product. Too low, and the producer won’t be able to stay in business for very long. In the chess sets that we review, we look for a balanced price that can be justified by the materials used in its production. If the price is too low, that’s a red flag because it may be a sign that the materials it advertises as being used, like solid exotic hardwoods or natural stones, are not really being used. Too high, and many of our readers would not be able to afford the product, no matter how good it was. 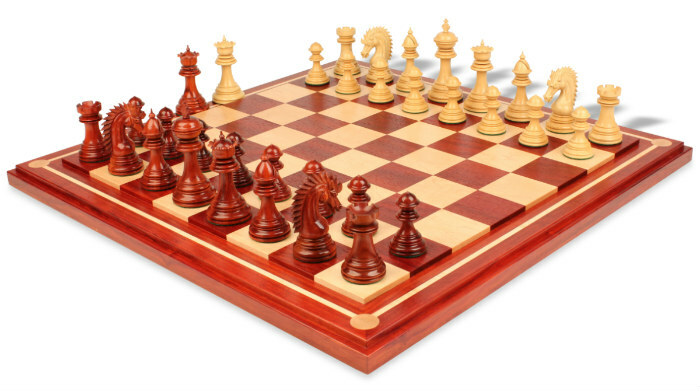 We look for really nice chess sets that fall in a “sweet spot” range that’s appropriate for the materials used and the level of craftsmanship of the product, but still affordable. This can be difficult to judge if you don’t know exactly what you’re looking for- particularly from an online listing. 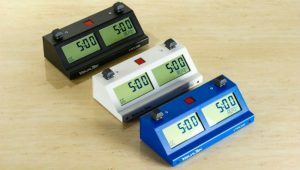 Things like chess clocks can be easily quantified and compared, but chess sets are different. That’s why it’s smart to rely on the professionals (like us!) We have an eye for these things and know what to keep an eye out for in terms of a chess set’s craftsmanship. In general, you’ll get the best level of craftsmanship from a decorative chess set that is handmade in small quantities by a dedicated artist. That’s not to say that there aren’t extremely high quality products being produced in large numbers by bigger companies, because there certainly are many such products. But, if you’re looking for a rule of thumb to find the best quality chess sets generally, that’s what we would recommend. A beautiful chess set isn’t worth much if it only lasts for a week or two before breaking. While some materials are delicate and need to be treated with care, there is no excuse for a product that fails to hold up under light to normal use. We inspect each product we recommend to ensure that it will last for years to come with the proper care. Chess sets can be a substantial investment, and we don’t want you to waste your money on something you’ll need to replace a few months down the road! 1. Is this chess set made by a trusted brand or committed small batch artist? 2. Is this chess set priced appropriately for the materials it’s said to be made of? 3. Is this chess set likely to be held to a high standard of craftsmanship? 4. Will these chess board and chess pieces last me for many years to come? If you follow these tips and listen to our advice, you’ll be much less likely to fall for a scam or get roped into buying an overpriced, low quality chess set. Buy with confidence following this method. And if you’re still not 100% confident in your own shopping skills, you know that you can’t go wrong by buying any of the beautiful chess sets we’ve reviewed above! Buy Online: Variety of the Best Chess Sets for Sale – Shipping Worldwide.